Instant Accentu8 series uses a unique blend of bio-marine extracts including Sea kelp to amplify volume in hair, leaving it full of body and movement. 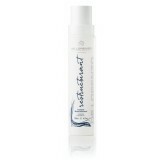 Instant Restructurant is a natural based dual purpose leave in conditioner/hair treatment that re..
A hydrating foam that revitalises and detangles. Provides daily protection from the na..